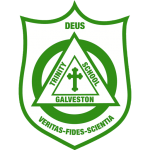 Tuition Assistance is available to Trinity Episcopal School students based on demonstrated need. Please be assured that final admission decisions are in no way influenced by a request for aid; however, there are special circumstances that will help in the Tuition Assistance Committee decision i.e. Elderly parent moves in, major illness, loss of job etc. Trinity uses the School & Student Services (SSS) to fairly determine qualification for Tuition Assistance. Based on parent-supplied information, SSS provides an analysis of a family’s finances and determines a suggested contribution for educational expenses. SSS is a service of the National Association of Independent Schools. SSS notifies Trinity of the recommendation. To begin your Tuition Assistance application for the 2019-2020 school year, follow the steps below. Click on the prompt to begin your SSS application. You only need to complete one application, even if you have more than one child applying. Parents will be given a password (Trinity school code 900041) that will allow you to return to your application later before submitting the application. Families are required to submit copies of their 2017 tax forms or 2018 tax forms (if applicable) directly to the School. In order for the Tuition Assistance committee to process all applications in a timely and equitable manner, we ask that you promptly send us the information requested. Incomplete applications will be placed in a tuition assistance waiting pool. All financial information is confidential. Trinity Episcopal School awards tuition assistance based on a family’s ability to pay as determined by NAIS Students School Services and a review of the family’s financial records. Awards are applied against tuition expenses for a given year and require reapplication each year. Awards are not intended to cover 100% of the cost of attending Trinity; all families are expected to contribute to the cost of their child’s tuition. How does our family apply for Financial Assistance? To apply for tuition assistance, you must submit your tax documents and complete an SSS application as outlined on the Trinity Assistance webpage to be considered in the first round of tuition assistance decisions. Is Tuition Assistance guaranteed every year? Reapplication for tuition assistance is required every year, and continued assistance requires that your family’s financial circumstances have not changed substantially and that all tuition assistance application materials are completed on time. Your tuition assistance award may increase, decrease, or remain the same depending on changes in financial circumstances from year to year. It is extremely important that families adhere to all deadlines. Both parents are expected to contribute to tuition. If a parent chooses not to work, Trinity will typically consider the earning power of a non-working spouse if there are no legitimate, documented reasons for the spouse to be unemployed. At Trinity we are blessed by families and individuals who support our school by contributing to the Annual Fund, which allows the school to bridge the gap between tuition revenue and the cost of educating our students. Participation in this fund is critical to achieving our mission and allows us to provide superior student programming and faculty professional development. We request that all families participate in this effort at a level that fits their budget so that the school can achieve its mission and participation goals.